This contract encompasses approximately 55Km of dual carriageway and includes five two-level interchanges with 7 lanes in each direction. 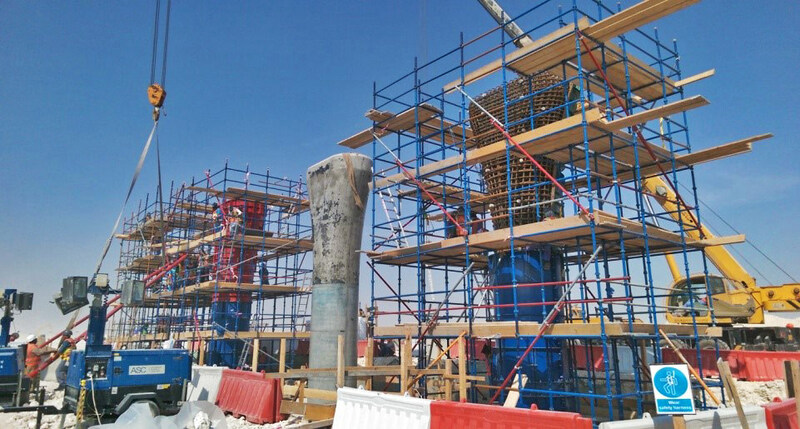 Located to the South West of Doha, this contract starts at Mesaieed Industrial City interchange and reaching up to Salwa Road, connecting the side roads Mesaieed Road 1, Wukair Road 1 and Wukair Road 2, also connecting the East-West Corridor to the New Orbital Highway. THE Design and fabrication of steel panels, to be used for all the different piers in the project. Acrow challenge was the very tight deadline required by the CONTRACTOR, for deliverying the required no of sets, taking into consideration the importance of the high level of occuracy required in all the steel panels finishing.